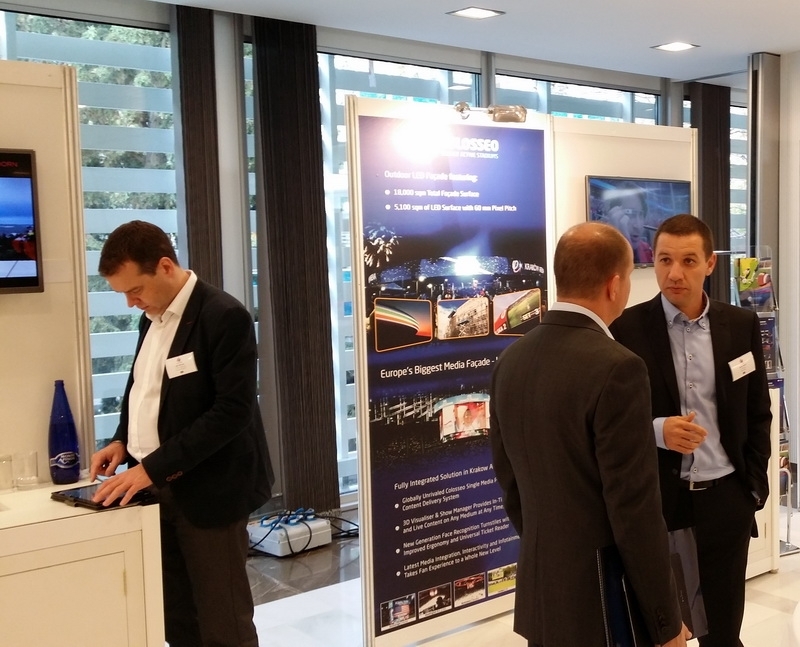 Colosseo sent a sales and business development team to the Stadium Business Design & Development Summit 2014 in Madrid, Spain, last month. The “hardhat” summit featured tours of Estadio La Peineta – the future home of Club Atlético de Madrid and, a visit to Real Madrid’s home stadium, El Estádio de Santiago Bernabéu. Attendees were also treated to presentations from another two big Spanish stadiums: Barcelona FC’s legendary Camp Nou, scheduled to undergo overall renovation, along with the indoor arena and immediate surroundings and, San Mamés stadium, home to Athletic Bilbao, renovated in 2013. The Business Summit specializes in business optimization, revenue generation, cost control and operational management of facilities; the Design & Development Summit brings the same expert enthusiasm to the new-build and refurbishment challenge. 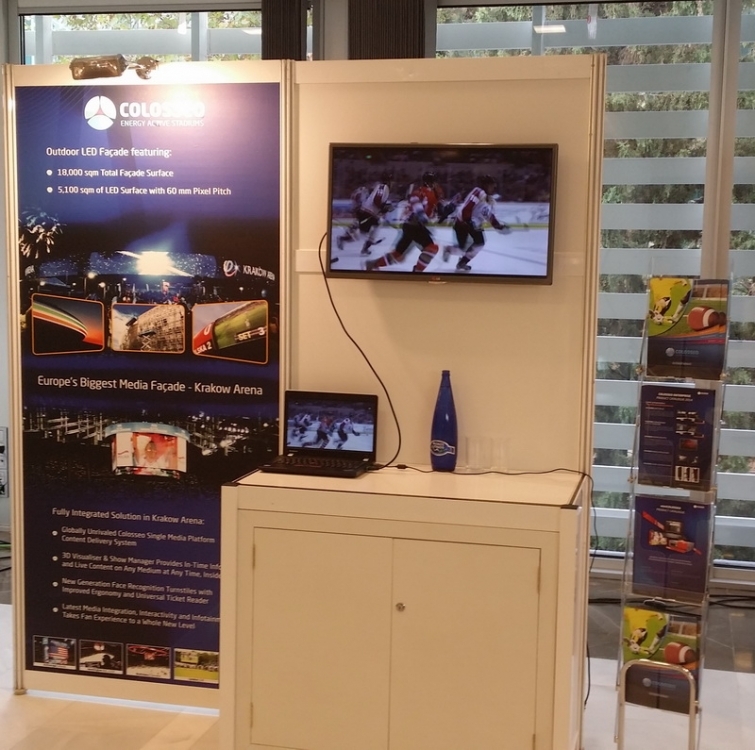 We met a lot of professionals involved in design, construction, refurbishment and management of major sporting venues and talked up our Single Media Platform, the only controller available that allows stadium operators to manage all content across all media in a stadium from a single point. With the valuable contacts we made in Madrid we are looking forward to bidding on new contracts in the very near future.